Sue Lawley's castaway is writer Margaret Atwood. 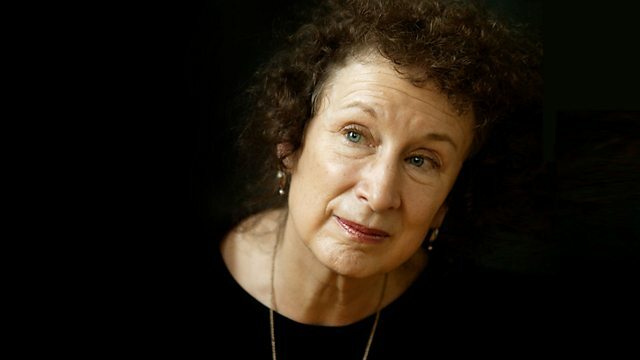 Sue Lawley's castaway this week is the writer Margaret Atwood. Born just after the outbreak of the Second World War, Margaret Atwood spent much of her childhood in the Canadian outback where her father's work involved studying insects. She grew up mostly without television, cinema, mains electricity or even a proper road to civilisation. For company she had only her parents and her brother, with whom she wrote "serials, mainly about space travel". It wasn't until her teens that the urge to write struck seriously, an event she describes as "a large, invisible thumb descended from the sky and pressed down on the top of my head. A poem formed." After University, a spell in England and a period teaching early morning classes to engineering students she had her first novel, The Edible Woman, published. Since then she has written nine more novels, four of which were Booker nominated with The Blind Assassin finally winning in 2000. Three of those novels have been made into films: Surfacing, The Handmaid's Tale and The Blind Assassin. She has also published some dozen books of poetry, five collections of short stories, four books for children and assorted non-fiction titles. Her latest novel, Oryx and Crake, set in a genetically engineered, post-apocalyptic landscape is published on May 5th this year. Beethoven: Symphonies 6 (Pastoral) No8.